Missy Bonbon, a famous bread shop and restaurant located in Cagayan de Oro City (Philippines) is having a Cake Giveaway in Celebration of Father’s Day. They are giving away 3 Father’s Day Special Cake for your SUPER DAD. 1. Like Missy Bonbon’s Facebook Page (https://fb.com/MissyBonBonBreadshop/). 2. Tag your dad and tell why he is your SUPER DAD on the comments section of this post (https://www.facebook.com/MissyBonBonBreadshop/videos/10153984554697537/). The one with most creative caption will give you more chances of winning. 3. Share giveaway publicly on your Facebook wall. 2. The redemption of the giveaway prize (3 winners) is valid from June 17 to June 18 only. 3. Applicable to Missy Bon Bon CDO branches only. What are you waiting for? 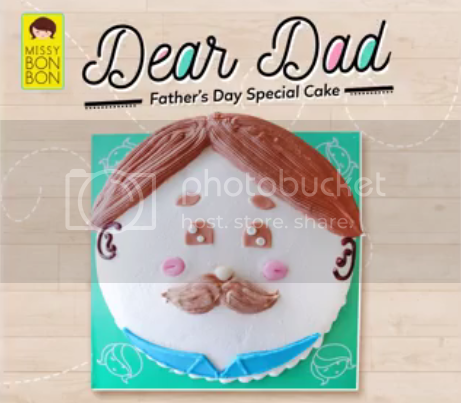 Join now and grab the chance to give your Dad’s a special cake on Father’s Day!